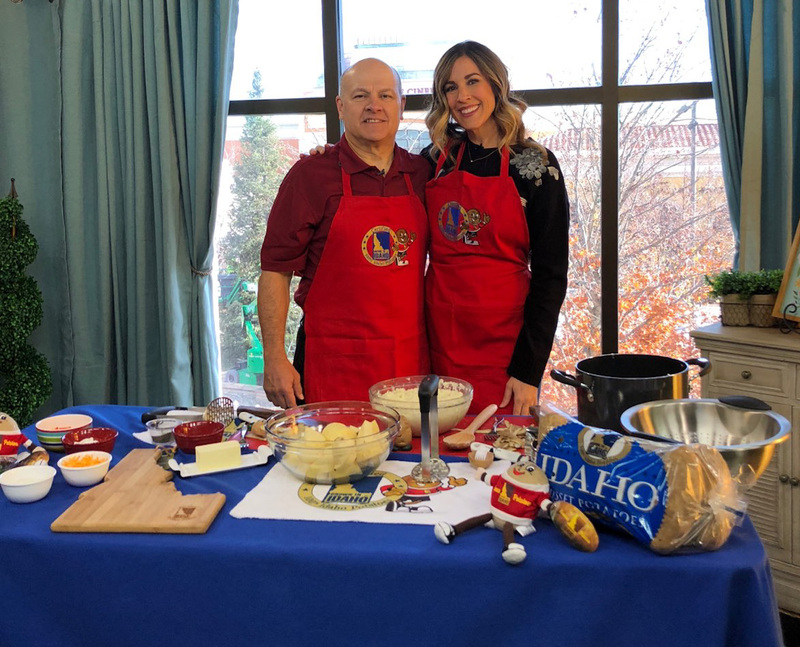 I am a student of food and I have volunteered to be on a local television show to talk about how much I love Idaho potatoes as well as demonstrate how to make them. Any tips that might help me get through this and look like an expert? 7. Add warm or hot liquid - not all, just some. Start to mash, then add the rest slowly. B. Any Butterball 1-800 Moments with Mashed Potatoes? 1. From a food safety standpoint, don’t leave out a room temperature after baking or boiling…refrigerate! 2. It’s easy to over-mix and then they become gluey. Think “crush” and “smash”, not “whip” and “blend”. Once you break the cell it releases the starch and that’s why they become gluey. 3. Hot mashed potatoes won’t happen if you add cold liquids. Add hot milk, cream, or chicken broth. 4. Watch the salt. I once used popcorn salt by mistake and couldn’t tell how much was going on. Use Kosher salt instead. 5. If you fix the day before, beware that potatoes that are exposed to air will turn black. Hard water or water that has been softened is alkaline and can cause color changes in potatoes. Add ½ teaspoon of cream of tartar, lemon juice or vinegar per gallon of water. Potatoes also react to iron. C. How to Fix Mashed Potatoes Ahead of Time? 1. Cook, drain into sieve or colander, place in an ice back with lemon juice, water, ice for a couple of minutes. Put into a plastic tub with a lid and refrigerate overnight. 2. The next day, head up in a microwave or slow cooker, then add hot liquids and serve. I love the slow cooker to keep food warm, not just to cook in. 2. Ricer – be a pro, buy one. Like a garlic press but with holes. 3. Plastic tubs – don’t store in a metal container.